Hyerin can do a killer Voldemort impression, but one time when told to execute this skill, she totally referred to Voldemort as a "sunbaenim". That word is a typically Korean honorific that generally applies to someone who entered an academic or work environment before you. Ever since this slip-up, He-Who-Must-Not-Be-Named seems to be everyone's sunbae. EXID is comprised of absolutely drop-dead gorgeous ladies and they always have the best beauty and make up looks! Take Junghwa for example, who was noted by Allure Magazine to be ultra trendy with her dandelion hair and cute makeup in the "Night Rather than Day" music video! Only EXID fans know that this happened during an incident from a previous VLive back in December entitled, 'EXID's Cooking'. Hani happened to almost cut herself while chopping onions and the moment was immortalized by the other members and the fandom forever. 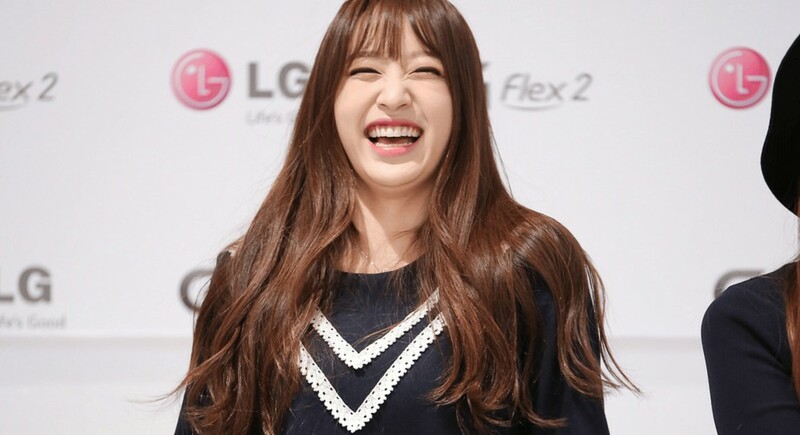 There are very little words to describe the joy that fills an EXID fan's heart when they see darling and gorgeous Hani scream for her life mid-bite when BTOB's Changsub suddenly appears also doing the exact same thing. This is an iconic EXID moment. EXID often does fan service by posting videos of them covering their favorite tracks! The above video of Hyelin is just one example of the types of covers that they bring to the table. There's even covers of songs in other languages, but as fans of EXID, you probably already knew that! EXID's ultra-lovable personalities have made them popular among the idol community! Take APINK's leader Jung Eunji for example! She sat with the girls of EXID at an award show and Bomi of APINK had to corral her back to sitting with the rest of her own group! EXID's charm is irresistible.